This is an article published in our July/August 2016 Issue. The high performance found in naval surveillance radars equipping large surface combatant is migrating to smaller surface vessels of corvette and Offshore Patrol Vessel (OPV) size, bringing ever-increasing levels of capability. The Republic of Singapore Navy (RSN) will outfit its forthcoming ‘Independence’ class Littoral Mission Vessels (LMVs) with Kelvin Hughes’ SharpEye navigation radar, as announced by the firm in early August. The RSN is acquiring a total of eight ‘Independence’ class corvettes which are replacing its erstwhile ‘Fearless’ class ships. Each ‘Independence’ class ship—the eponymous vessel was commissioned this May—will be outfitted with Kelvin Hughes’ X-band (8.5-10.68 Gigahertz/GHz) version of its SharpEye naval radar. The selection of this radar is not surprising: Surface combatants of corvette size and below, namely warships displacing under 3000 tonnes, including Offshore Patrol Vessels (OPVs), both in the Asia-Pacific and beyond, are receiving progressively more capable naval surveillance radars. What are the reasons for this trend? Navies around the world are increasingly being called upon to ensure the safety and security of their littorals. The Asia-Pacific has a notable example in this vis-à-vis the People’s Republic of China’s (PRC) so-called Nine Dash Line which denotes the country’s maritime and territorial claims in the South China Sea. The subject of intense controversy in the Asia-Pacific region, the Nine Dash Line arguably overlaps into several Exclusive Economic Zones (EEZs) which are prescribed by the United Nations Convention of the Law of the Sea and allow a state to exploit the waters up to 200 nautical miles/nm (107.9 kilometres/km) from its coastline. The EEZs of several nations, including the Philippines and parts of Malaysia, are covered by the PRC’s Nine Dash Line. Therefore, the littorals of such nations can become contested, as recent events in the South China Sea have illustrated. In one incident in May 2015, Chinese vessels and Vietnam People’s Navy (VPN) ships clashed in the South China Sea following the positioning of the PRC’s Haiyang Shiyou 981 oil platform in the vicinity of the Paracel Islands, an archipelago in the South China Sea, controlled by the PRC but claimed by Taiwan and Vietnam. On this occasion, the clashes between the VPN and the PRC ships accompanying the oil rig were confined to ramming and the use of high-pressure water hoses against each ship, but such incidents do little to cool tempers in this increasingly volatile stretch of water. The lesson of the May 2015 confrontation is the importance of maritime situational awareness for the vessels which routinely patrol such contested waters. Advances in the miniaturisation of electronics, principally following Moore’s Law which states that the number of transistors that can outfit an individual ship doubles every two years, have enabled the size of electronic circuits to progressively reduce. The consequence of this for radar design is that circuitry reduces in size, which enables comparatively more functionality in radars designed for small vessels than might have been possible a decade ago. 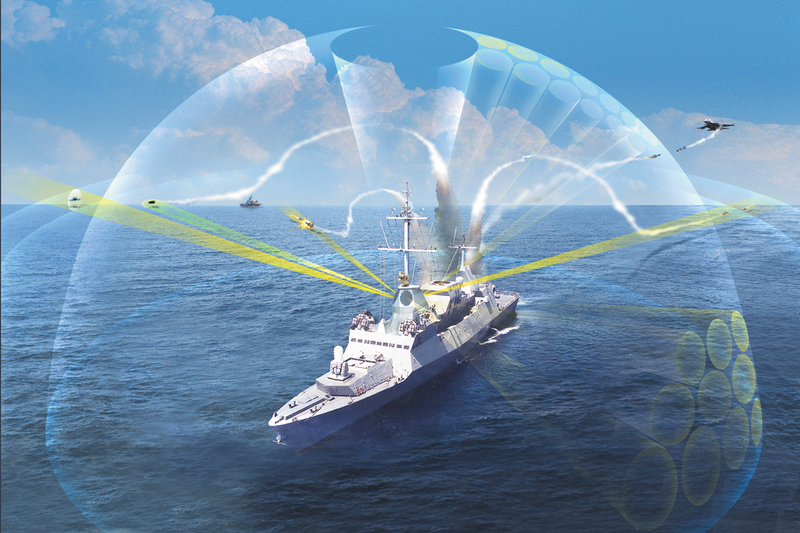 For naval vessels, this increase in functionality provides OPVs and corvettes with good resolution regarding the surface and air targets they are able to detect and track. Previous to the introduction of naval surveillance radar such as Cassidian/Airbus’ TRS-3D in the 1990s, powerful naval surveillance radars capable of providing a detailed air and maritime picture tended to be the preserve of large combatants such as the US Navy’s ‘Arleigh Burke’ class destroyers and ‘Ticonderoga’ class cruisers. These ships had the required space to accommodate the large antennae and electronics cabinets that radars such as Lockheed Martin’s AN/SPY-1B/D S-band (2.3-2.5/2.7-3.7GHz) product, which weighs 83 tonnes when including its antennae and electronics, require. Smaller OPV/Corvette sized combatants may not be able to perform complex missions such as ballistic missile defence or fleet air defence with their radars despite their sophistication. This is because they may be unable to safely accommodate large antennae without endangering seakeeping, and to generate the required electrical power levels. For example, the AN/SPY-1B/D typically generates a peak power of four to six megawatts, due to power plant limitations (broadly speaking, the more radio frequency energy a radar transmits, the greater its detection range), nevertheless they can provide a detailed view of the air and maritime situation in the ship’s locale. 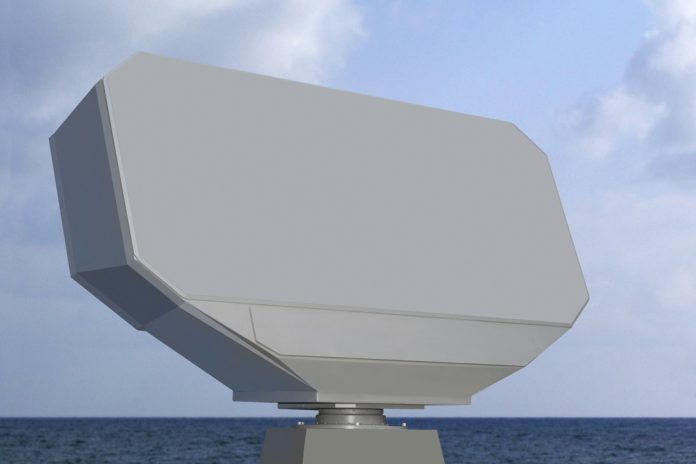 Radars optimised for comparatively small naval combatants have several requirements such as a significant elevation coverage of up to 90 degrees from the antenna, Airbus told AMR via a written statement. This ensures that as much of the sky as possible can be watched by the radar. The need to detect very small objects that may have a Radar Cross Section of under 0.1 square metres (one square foot) is also an imperative while, at the same time, being able to discern such targets against ‘clutter’—the ‘noise’ which can be detected by a radar, such as wave crests into which smaller targets such as jet skis or a submarine periscope can hide—plus the need to detect and track small and fast targets such as surface-skimming anti-ship missiles, Airbus’ statement continued. For small combatants, all of these capabilities must be housed on a radar small enough to outfit the vessel. Spike Hughes, sales and marketing manager at Kelvin Hughes, notes the importance of low RCS target detection: “Small target detection in radar terms means low RCS targets such as RHIBs (Rigid Hull Inflatable Boats), wooden boats and jet skis fall into this category, which may be fast moving or very slow moving.” Mr. Hughes also states that versatility in terms of roles is important: “A naval surveillance radar has to provide a number of roles now, firstly navigation, then safety at sea, i.e. collision avoidance, and a surveillance role to provide security through detection of asymmetric threats which may pose a threat to the ship or be operating illegally.” Such asymmetric threats can encompass everything, from water-borne insurgents to narcotics traffickers using small boats to transport their products. Alongside Singapore, the SharpEye radar has been procured by the Tentera Laut DiRaja Malaysia (TLDM/Royal Malaysian Navy) for its Second Generation Patrol Vessels (also known as the Littoral Combat Ship) of which the navy is expected to acquire six, with deliveries of the ships concluding in 2020. The SharpEye radars, two of which (one X-band and one S-band) will equip each vessel, will be joined by a single Thales Smart-S Mk.2 S-band naval surveillance radar which has a detection range of 130 nautical miles/nm (150 kilometres/km) and the ability to track 500 air and surface targets. 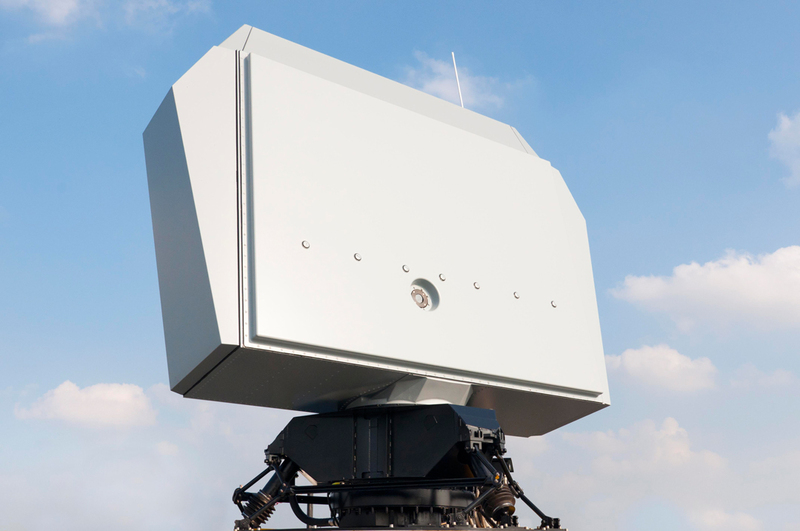 Augmenting Thales’ radar product family for small combatants is its NS-100. This radar uses an Active Electronically Scanned Array (AESA) antenna (see below), which has the asset of reducing the amount of space that such a radar absorbs on a warship. According to a statement supplied to AMR by Thales, “(The) NS-100 is a radar with limited required footprint. This results in fast and simple on-board installation, also on ships with limited available space.” This S-band radar, which has a range of 107.9nm (200 km) provides 70 degrees of elevation coverage. The radar also comes equipped with Automatic Identification System (AIS) and Automatic Dependent Surveillance-Broadcast (ADS-B) interrogators. AIS is mandated by the International Maritime Organisation’s International Convention for the Safety of Life at Sea which requires all vessels displacing in excess of 300 tonnes to carry a Very High Frequency (30 to 300 Megahertz) transponder which transmits details of their identity, position, course and speed. ADS-B, meanwhile, forms one part of the US Next Generation Air Transportation System air traffic management infrastructure which has developed surveillance technology that is being increasingly adopted around the world to provide civilian aircraft identification using satellite navigation, with the radar able to detect the Ultra High Frequency (300MHz to three gigahertz) transmissions made by an aircraft’s ADS-B transponder. Beyond Thales and Kelvin Hughes, the provision of naval surveillance radar to comparatively small surface combatants is the preserve of several companies such as Denmark’s Terma which has outfitted vessels such as the Royal Navy’s ‘River’ class OPVs with its SCANTER-4103 X-band (8.5-10.68GHz) product. The firm was selected by the United Kingdom Ministry of Defence to this end in December 2014, and deliveries of the radar to equip the vessels, four of which have been commissioned, a fifth is under construction, and two have been ordered with radar deliveries commencing this year. Providing target detection to a range of 90nm (167km), the SCANTER-4103 provides detection and tracking of up to 500 surface and 100 air targets simultaneously. In terms of customers in the Asia-Pacific, the SCANTER-4103 equips the Tentara Nasional Indonesia-Angkatan Laut (Indonesian Navy) ‘Fatahillah’ class corvette, and a single ‘Darussalam’ class corvette of the Tentera Laut Diraja Brunei (Royal Brunei Navy). European manufacturers are also enjoying success in new markets, notably the United States, which had always been hard for non-US companies to penetrate. Airbus’ TRS-3D radar has been selected for the United States Navy’s ‘Freedom’ class Littoral Combat Ships. With a surveillance range of up to 97nm (150km), this C-band (5.25-5.925GHz) radar is available in two variants with 16 (TRS-3D/16) and 32 (TRS-3D/32) radiating elements mounted on the radar’s antenna. Alongside the TRS-3D, known in US Navy service as the AN/APS-75, some of the vessels in the ‘Freedom’ class, notably the latter vessels from the ninth example (USS Indianapolis, plus four additional vessels on order), will receive the improved Airbus TRS-4D radar which, like the TRS-3D family, is a C-band radar. Principle differences between the TRS-3D and TRS-4D include the longer detection range of the latter, which extends to 135nm (250km) and its ability to detect and track around 1000 air and surface targets. An Active Electronically Scanned Array (AESA) radar outfits the TRS-4D, which encloses a multitude of Transmit/Receive (T/R) modules on the antenna. Each T/R module effectively acts as its own miniature radar generating, transmitting and processing its own RF pulse. AESA technology allows the radar to be rapidly switched between tasks such as air and ground surveillance, which enables so-called ‘graceful degradation’ (the failure of one T/R module will not render the radar unserviceable). The flexibility inherent in the AESA design enables the TRS-4D to be used for tasks such as fire control for the vessel’s armament, and for helicopter navigation. The TRS-4D is available with both a rotating antenna which equips the ‘Freedom’ class ships, and a flat panel design which outfits the ‘Baden-Württemberg’ class frigates for the Deutsche Marine(German Navy), two of which have been launched from a total class size of four vessels. Airbus told the author in 2015 that there are currently no US Navy plans to retrofit the TRS-4D onto the first eight ships of the ‘Freedom’ class which received the TRS-3D. The US Navy LCS family includes the ‘Independence’ class design alongside the ‘Freedom’ class. Like its sibling, it is outfitted with a naval surveillance radar of European origin, in this instance Saab’s Sea Giraffe AMB C-band naval surveillance radar. Capable of providing 97nm (180km) of surveillance range, the radar can track up to 200 air, and 400 surface targets. Known in the US by its AN/SPS-77 nomenclature, ten of the radars have been delivered to Austral, the ‘Independence’ class’ shipbuilder. Additional deliveries of three radars are expected to follow for the same number of additional ships which have been ordered by the US Navy as of April 2015. 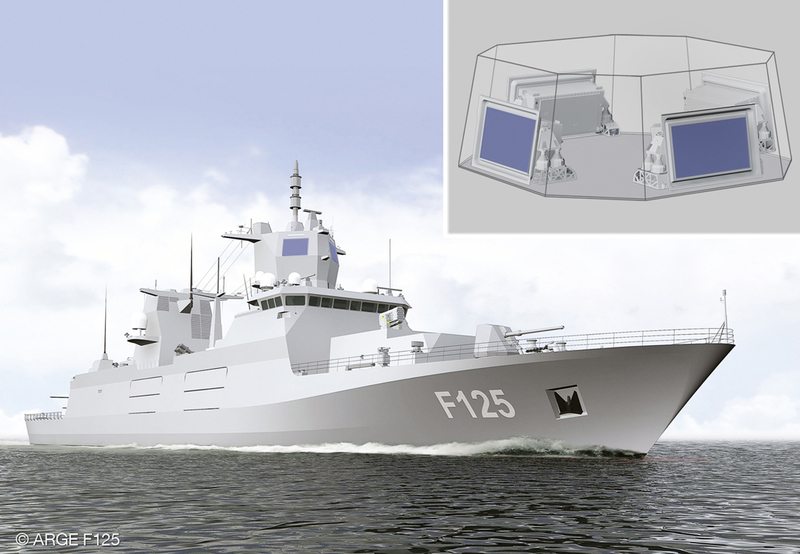 Also optimised for relatively small sized vessels is Saab’s Sea Giraffe-1X radar. Launched in May 2014, this radar has a range of 54nm (100km) and can monitor up to 100 air and 200 surface targets. The Sea Giraffe-1X is thought to be awaiting customers. Like its TRS-4D counterpart, Israel Aerospace Industries’ ELTA Systems division has employed AESA architecture for its MF-STAR (Multi-Function Surveillance Track and Guidance Radar) comprising two family members, the S-band EL/M-2248 with a published range of 135nm (250km), and the EL/M-2258 ALPHA (Advanced Lightweight Phased Array) which has a range of 65nm (120.3km) and uses a phased array design as opposed to AESA architecture. In the latter, the radar’s RF energy is generated as one source, as opposed to by each T/R module as with an AESA, and is then fed into individual emitters mounted on the antenna. This enables the RF transmissions which fan out from the individual emitters to be ‘steered’ using a process of constructive interference. This process is akin to that by which two magnets of the same polarity repel each other; in that RF transmissions can be fed into the individual elements mounted on the antenna at different phases of oscillation which is sufficient to force the movement of the RF transmissions in particular directions. Phased array radars have advantages as when the antenna stops rotating, the RF transmissions can still be steered to allow the radar to widen its field of view rather than only looking directly in front of the antenna’s field-of-view. 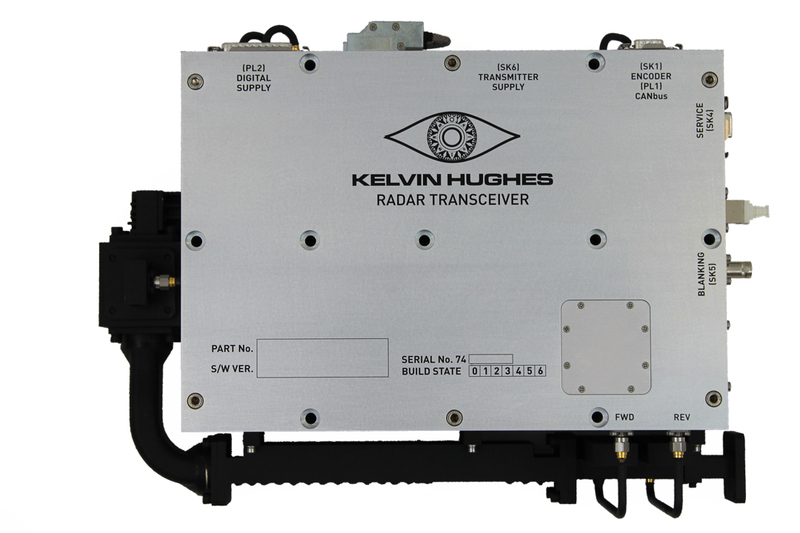 Moreover, as these radars do not require a large number of T/R modules, they can be comparatively less expensive than AESA radars to procure. That said, they can only transmit on a single frequency at any one time, unlike the T/R modules on an AESA radar which can transmit on different frequencies) which can render phased array radars more susceptible to jamming. The EL/M-2258 equips the Israeli Navy’s eight ‘Sa’ar 4.5’ class missile boats. Although the EL/M-2148 is typically designed for vessels which displace in excess of 2000 tonnes, Gil Roth, IAI ELTA’s director of naval systems, says that the radar is scalable and can outfit ships displacing between 1600 and 2000 tonnes. This can be achieved using a smaller antenna or a flat panel design in which several panels can be combined together to provide 360 degrees surveillance. Mr. Roth adds that while the radar’s detection range may reduce with a smaller sized antenna, its processing power remains unchanged. Finally, the IAI stable also includes the EL/M-2222S Nav-Guard radar launched in 2014. Employing four AESA antennae, the radar has a four nautical mile (seven kilometres) range and is primarily designed to provide short-range defence for a warship and can be teamed self defence systems such as Rheinmetall’s MASS (Multi-Ammunition Soft-Kill System) which deploys chaff, flares and ultraviolet countermeasures against radar and infrared guided anti-ship missiles. The technology for naval surveillance radars is in a condition of continual evolution. Mr. Hughes says that a major challenge for current radar designers is the ability to detect and track Unmanned Aerial Vehicles (UAVs). While naval surveillance radars are traditionally optimised for detecting conventional aircraft such as helicopters and fixed-wing aircraft, UAVs present their own challenges. Such aircraft can be small, may be constructed from radar-absorbent materials such as carbon fibre or plastic, and thus be comparatively harder to detect yet, at the same time, they are proliferating. 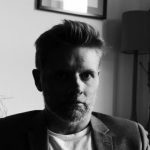 Ensuring that naval surveillance radars will be able to remain abreast of emerging threats such as these in the future will be helped in no small part by the software-defined nature of their architecture. Instead of requiring the hardware of a radar to be changed to detect emerging threats, altering the algorithms that are used to process the radar’s reflected transmissions will be sufficient. As the Thales statement notes, changing the software of a radar, alongside the use of modular components for hardware, allow physical elements of the radar to be changed using a ‘building block’ approach. This should make radars easier and less expensive for users to modify as and when new threats become apparent.